Old Alex, Corinthian and Muckross moved an extra step clear of the chasers to look certain to contest the three EY Hockey League playoff places from Leinster and in good shape to land an IHL Division 2 spot. Elsewhere, Saturday’s fixtures drew blanks all round with Genesis and Glenanne sharing a 0-0 draw as did Our Lady’s and Clontarf. At St Raphaela’s, Genesis recorded a seventh clean sheet of the campaign as they defended well but almost succumbed to late penalty stroke. Sarah-Jane Kelly’s shot at goal was blocked by Beth Fortune who argued vehemently it hit her top hand on the stick. An umpire’s consultation saw a stroke awarded but Sorcha Cunningham saved from Serena Rush’s effort from the spot with two minutes to go, keeping it at 0-0. For Genesis coach Ashley Harrison, he has seen his side finish their pre-Christmas schedule in fifth place, a decent return for a side that saw some of their key players move on during the summer. Defensively, they have been strong this term but just seven goals from 10 games means they are not quite in a position for a playoff push. “I think a draw was a fair result – we had chances, they had chances but neither side looked like penetrating,” he told Dublin City FM’s Declan Hughes after the tie. “We don’t currently have a natural striker to get in there and score goals. We lacked that presence which has been our issue. They are rare players to find. Defensively, we are quite solid and don’t concede many. His Glens’ counterpart Ben Epstein was in a similar position, promoting from within after a number of key players from last term are not available this year. They started with five single-goal defeats to start the season but have since garnered seven points from 12. Corinthian finished the first half of the season unbeaten when they landed a 3-0 success against Avoca, a side they usually draw with. The deadlock was broken by Lynne Pomeroy around the 10 minute mark with a good team move resulting in the goal. The reds held most of the ball against a deep-lying Avoca defence and they doubled the lead from a well worked penalty corner routine was slotted home by Alanah Quinsey in the second half. Avoca saw some openings on the counter and forced two good saves from Rebecca Murtagh between the posts but the result was sealed from an interception in the press by Pomeroy, who drove into the space and intelligently slipped a pass to Laura Motyer for a very tidy finish. 3-0. 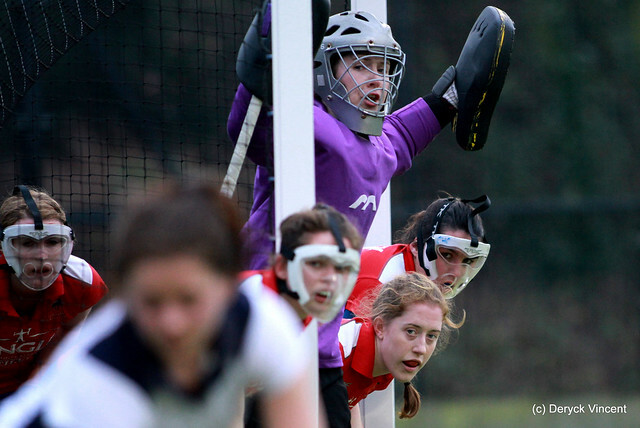 Old Alex remain top thanks to their 4-0 win over Rathgar while Muckross were 3-1 winners at North Kildare. PSi – find out how to join a franchise near you!